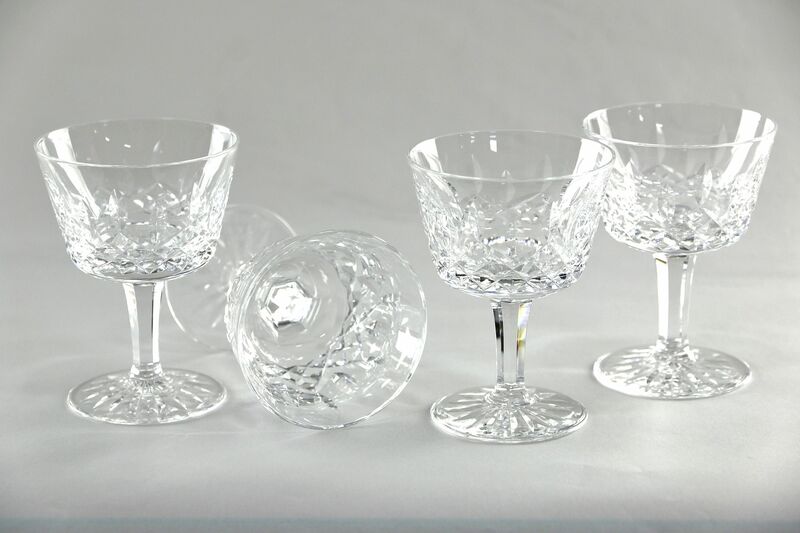 Signed "Waterford" blown and cut crystal, a set of four champagne sherbet goblets are in the Lismore pattern. Size is 4" tall and 3" diameter. Standard Shipping is $20 in the US.